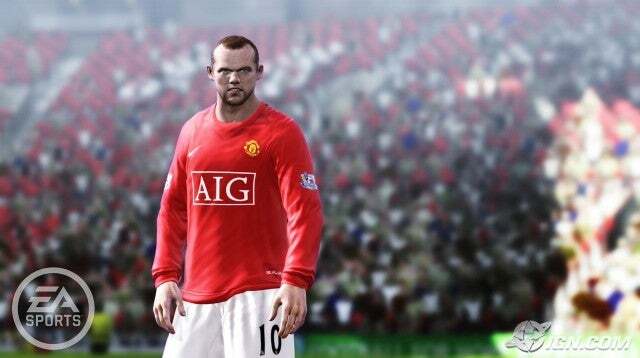 FIFA 10 will be officially announced on 5 June. That is what is confirmed by the screen that appears on the official site just put online by EA Sports, which can be reached at this address. 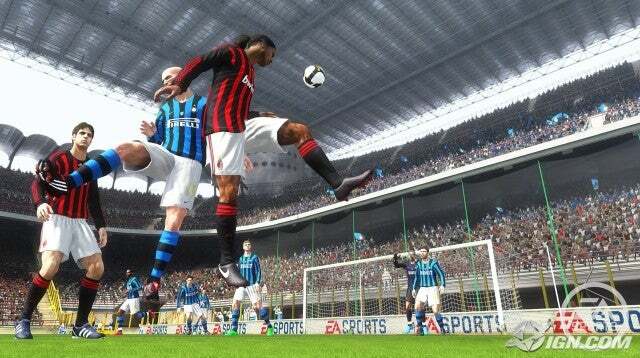 This news confirmed the rumors of recent days, which spoke of a preview of FIFA 10 on the Edge magazine due out on 4 June, following a presentation to the camera which took place a few weeks ago all’Emirates Stadium. 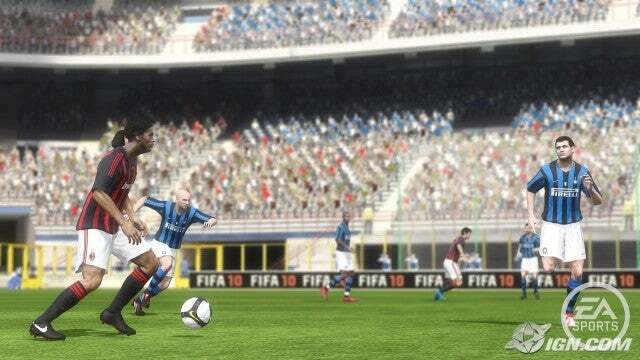 With a press release that anticipates the end of the countdown on the official site, Electronic Arts officially announced the first details of FIFA 10, as a response to the already substantial material released by Konami for PES 2010. We add only that the release date of FIFA 10 will fall in October 2009 – version PC, PS3, PS2, PSP, DS Wii and Xbox 360 – and will be officially presented at E3 2009 and then on the official website on 5 June, as we announced this was the countdown. – Numere/Fonturi personalizate la Liga I si II. – Update complex Liga I pana in data de 22.08.2009. – Stadioane (25): Dr. Constantin Radulescu, Ghencea, Dinamo, Giulesti, Nicolae Dobrin, Ion Oblemenco, Gaz metan, Urziceni, Gloria Buzau, Dan Paltinisanu, Farul, Astra, Emil Alexandrescu, Vaslui, Tudor Vladimirescu, Otelul, Gloria Bistrita, Ilie Oana, Areni, Bacau, Brasov, Valcea, Cotroceni, Alba Iulia, Mioveni. Includes Basic Version [Req], update 1.2, and update 1.3. Both updates are required for mod stability. Including English FIX !!! replaces all German menu into the default FIFA 09 English. * About 950 faces by Jackson, FCK93 & TeneCee (all FIFADome), woomar (FIFA 4 FANS), ValSidalv21, Walter Junior, maradonalopez, coxlenox, Santups18, mat_t, YoYoCena, JaviSvMusic, Hannes, sebas, Stankan (all Soccer Gaming), dominiklut, gostek15, walczu (FIFASite), Tosi, EddieGuerrero, AC12 (all FifaMania), etc. * More than 14800 minifaces by FCP 1912, ATSV, Baresi, Sandro (all FIFA 4 FANS), Schnix19 (FIFADome), etc. * 580 new team banners by fifa_freak, ATSV (booth FIFA 4 FANS), SGD Fan (Fifaplanet), BTSVPrinzessin (FIFADome), Soccer Gaming editiers, etc. * 1260 new mini kits by BTSVPrinzessin, Boller, vasoldi, fcafreak (all FIFADome), FIFA 4 FANS, Soccer Gaming editiers, etc. * More than 120 new trophy images by Apollox, Rapidfan (booth FIFA 4 FANS), SGD Fan (Fifaplanet), gigis1, Outsider87 (booth FifaMania), etc. * About 1000 new team logos for the menu by Gazunio (FIFA Polonia), fifa_freak, FCP 1912, ATSV (all FIFA 4 FANS), Baresi (Fifaediting), etc. * About 1000 new team logos for the matches by Gazunio (FIFA Polonia), fifa_freak, ATSV (all FIFA 4 FANS), etc. * More than 60 new league logos by Gazunio (FIFA Polonia), fifa_freak, ATSV (all FIFA 4 FANS), etc. * About 350 new teams (about 1000 teams altogether) by FIFA 4 FANS, FifaMexico, FIFADome, Soccer Gaming editiers, Croatian FIFA Centar, BFL Team, FIFA Baltic, Greek Super Patch, MSL 4 FIFA, FIFA Serbia Online, FIFARomania, etc. * 26 new leagues by FIFA 4 FANS, FifaMexico, FIFADome, Soccer Gaming editiers, Croatian FIFA Centar, BFL Team, FIFA Baltic, Greek Super Patch, MSL 4 FIFA, FIFA Serbia Online, FIFARomania, etc. * 28 new tournaments by FIFA 4 FANS, FifaMexico, FIFADome, Soccer Gaming editiers, Croatian FIFA Centar, BFL Team, FIFA Baltic, Greek Super Patch, MSL 4 FIFA, FIFA Serbia Online, FIFARomania, etc.